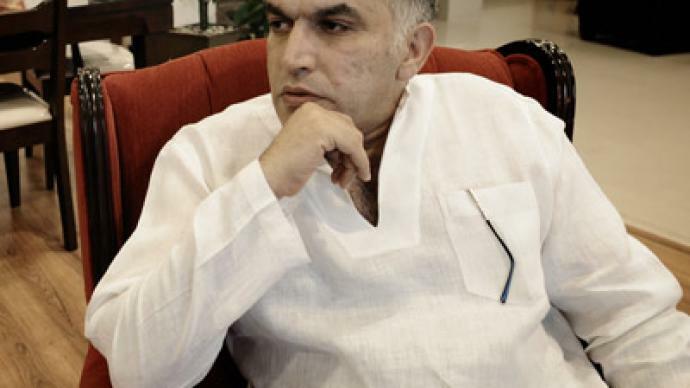 Rajab has been in police custody since June 6 over comments he made on Twitter critical of the Bahraini Prime Minister, which called for him to step down. 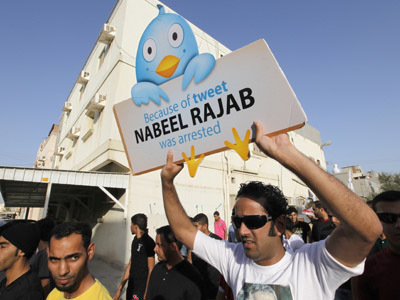 Rajab was sentenced on July 9 to three months for the remarks, raising concerns worldwide among free-speech activists. Rajab, a prominent human rights activist, led several anti-regime demonstrations in recent months. The activist is also affiliated with international rights groups such as Human Rights Watch. Opposition rallies have repeatedly called for his release. 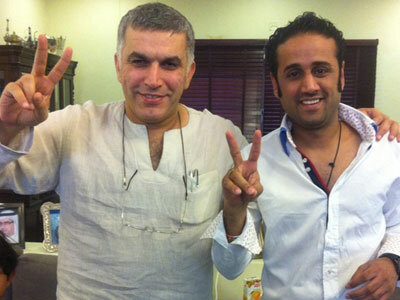 "Jail me 3 years or 30, I will never give up," Rajab’s son Adam tweeted, quoting his father’s remarks. Before his arrest, Rajab appeared as a guest on episode four of ‘The World Tomorrow’ on RT, hosted by WikiLeaks founder Julian Assange. In the interview, he criticized the US-led invasion of Iraq, as well as US refusals to take action during the Bahraini protests and the wider Arab Spring. Rajab was arrested May 5th, days after his appearance on the show, leading many to believe it was a government reprisal against his protest actions. 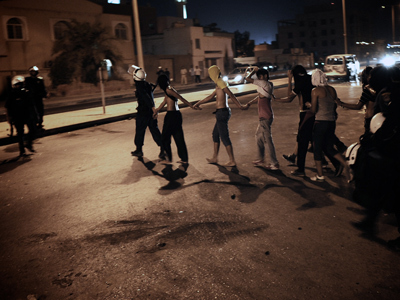 Rajab’s sentencing is the latest in a fierce crackdown on dissent in Bahrain. On Wednesday, human rights activist Said Yousif wrote on Twitter that he had been arrested at a checkpoint in the town of A'ali. Yousif had previously spoken out in support of Rajab. Security forces manning the checkpoint had contacted his wife so that she could pick up his“two little kids,” Yousif said, and no further information was forthcoming. The crackdown has prompted widespread international condemnation. 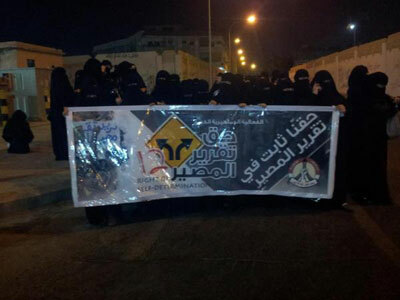 Some human rights organizations, including Amnesty International, claimed that criminal proceedings against the activists were not democratic. Amnesty International cited an incident when a ruling judge ordered that hearings be moved behind closed doors, where defendants would be filmed. In response, the arrested activists fired their lawyers, but the court simply appointed new defense lawyers. 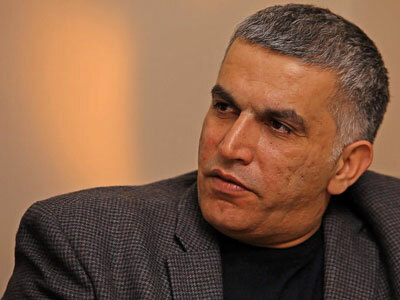 "The Bahraini authorities must end this travesty of justice… They are prisoners of conscience, held solely for peacefully exercising their rights to freedom of expression, association and assembly," said Hassiba Hadj Sahraoui, Amnesty International’s deputy director for the Middle East and North Africa. 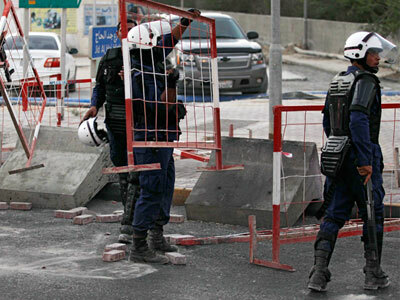 Amnesty International also urged Bahraini authorities to conduct an independent investigation into allegations of the torture of detained activists. The sentencing raises questions about US support for the Sunni monarchy; Bahrain is the headquarters of the US Navy's Fifth Fleet, and was designated a major non-NATO ally in October 2001. ­Colin Cavell, a former lecturer at the University of Bahrain, told RT that the court's decision is merely a play in the US political game, which supports the tyrannical regime to maintain military might in the region.